THE "Zimbabwe is open for business mantra " is certainly good for the ear and if implemented properly, it carries the potential to contribute immensely to economic development. However, there appears to be massive double speak as government seems to be indicating left and some sections of government and local authorities appear to be turning right. Empirically, I have had the opportunity to interact with various local authority officials in Bulawayo and Matabeleland South, only to discover to my shock and horror that the open for business mantra and "we are different from Mugabe" pronouncements are mere animal fair pronouncements. Barely three weeks ago after various efforts to implement some active citizenship projects in Umzingwane district, we were summoned by the local district administrator's office for a meeting which involved three securocrats from the President's Office, the police and the Joint Operations Command (Joc), which was created by the colonial Ian Smith government to harass nationalists such as former President Robert Mugabe, President Emmerson Mnangagwa, the late Joshua Nkomo, Josiah Tongogara and Jason Ziyaphapha Moyo. I could not believe my ears as a whole Joc official described our organisation [Habakkuk Trust] as a threat to national security. I compelled the lady from the Joc to explain how we were a threat to national security and she failed to explain herself. At the end of the day, the securocrats present insisted that besides having a memorandum of understanding with the local authority and also notifying them of all our meetings, including those of our own structures in the communities, we need to ensure that they attended all our meetings, and this was to be done at our expense. This is a blatant violation of section 58 of the Constitution which guarantees Zimbabweans of the freedom of assembly and association. Just this year, government signed the African Charter on Governance and Elections and barely before the ink has dried, securocrats are on the rampage and making it impossible for activists and civic groups to operate freely. Very soon, they will be demanding to be present not only in our boardrooms, but also in our very bedrooms. Why should a CIO operative be present when I meet with villagers from Dobi village or Mawabeni village, especially given the history of disappearances and torture associated with this department. How are people supposed to express themselves in the presence of these dreaded and feared Gestapo-type operatives? It was clear at that meeting that neither the local district administrator nor the rural district council chief executive officer were in control as the security officials continued to roast us for merely trying to build the capacity of rural folk as part of our constitutionally mandated duties. In the same week, I was summoned to Southampton police headquarters by the head of police [DISPOL] who wanted to know about the meeting we were having to discuss the issue of Gukurahundi, which the government has said the country should address, hence the operationalisation of the NPRC. The man himself was very kind and courteous, but it was clear that there must have been strict instructions on ensuring that there was no nonsense from civic groups. Later on that week at a public meeting, we were being interrogated for fishing out three operatives from the meeting who had falsely registered as residents association members. In the Mugabe era, they were at least courteous enough to introduce themselves as security officials and we would give them space at times in our meetings as we had nothing to hide. My shock, horror and trepidation was compounded recently when, in an attempt to engage Bulawayo City Council on possible partnerships, we came across a bellicose and belligerent town clerk [a former soldier] who tried to intimidate us by declaring that he/they controlled all development in the city. I have never been so disappointed in my life as a resident of Bulawayo, as somebody whose legacy of struggle spans over two hundred years in our family. There, I was with two other ladies being harangued by the person who is the supposed gatekeeper of the city mandated with a clear responsibility to ensure that there is ease of doing business. 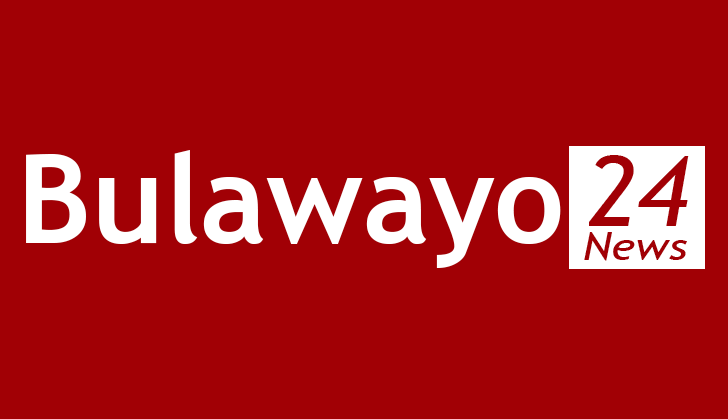 There is great need for openness as Bulawayo has lost touch as the industrial capital of Zimbabwe. This is in sharp contrast to very cordial and professional meetings with principal secretary Rev Damasane earlier in the year where we experienced unparalled professionalism. I had a similarly good engagement with the Provincial minister for Bulawayo who I had expected to be difficult, but she was able to articulate the vision she has for the city and her willingness to engage. I still don't believe that office is necessary as it dualises local governance functions, but I was impressed by her servant attitude. If Zimbabwe is really open for business, the operating space for civic groups must be opened up and intelligence officials must focus on issues of national security and economic intelligence, instead of following harmless and innocent people such as myself. It is either the government is contradicting itself through dichotomous policy implementation or acts of sabotage are being carried out at local level by government structures and security operatives. Central government seems to be making the right sort of noises except for the two cents issues, but at micro-level securocrats and bureaucrats are making it very difficult to operate. These officials must acquaint themselves with the Constitution of Zimbabwe and the Transitional Stabilisation Programme which seeks to make it easy to do business in Zimbabwe. Town local officials and securocrats must stop deifying themselves into latter day ancestors who require numerous rituals for access before whom every knee should bow and every tongue confess that they are chefs.